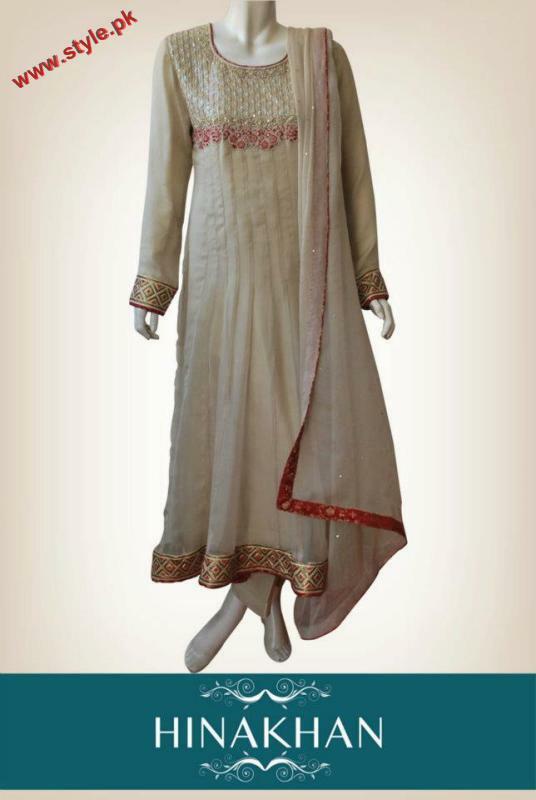 Hina Khan has recently introduced her latest bridal wear and formal wear collection 2012 and get great attention from her customers.Hina Khan is a very famous fashion designer has worked since 1982 in the field of fashion and provide very trendy outfits for casual to bridal wear.Hina Khan latest party wear collection 2012 has launched.Each dress of this stunning collection was embellished with full embroidery and different type of laces which is giving them very glamorous look.Hina Khan has designed this collection according to cold atmosphere of winter season.Have a look at this rocking party wear collection by Hina Khan for women 2012.Check out..
Latest Hina Khan New Collection 2012. 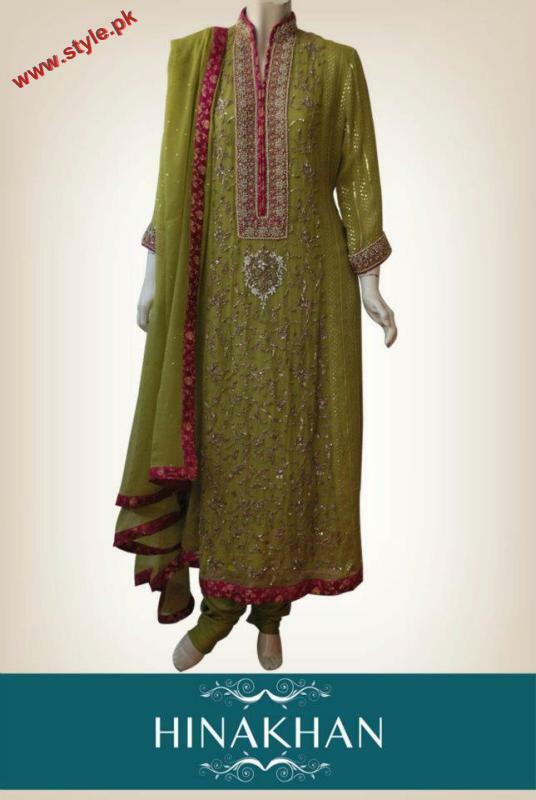 Hina Khan Party Wear 2012. 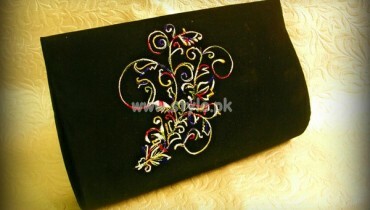 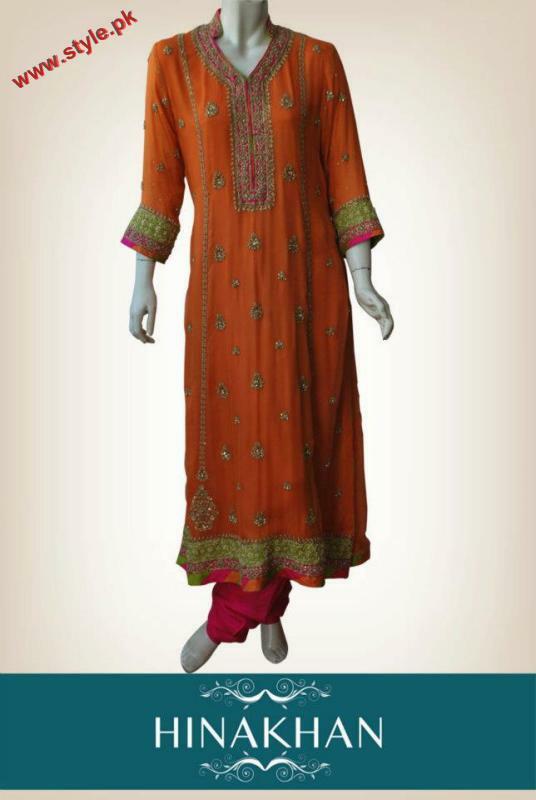 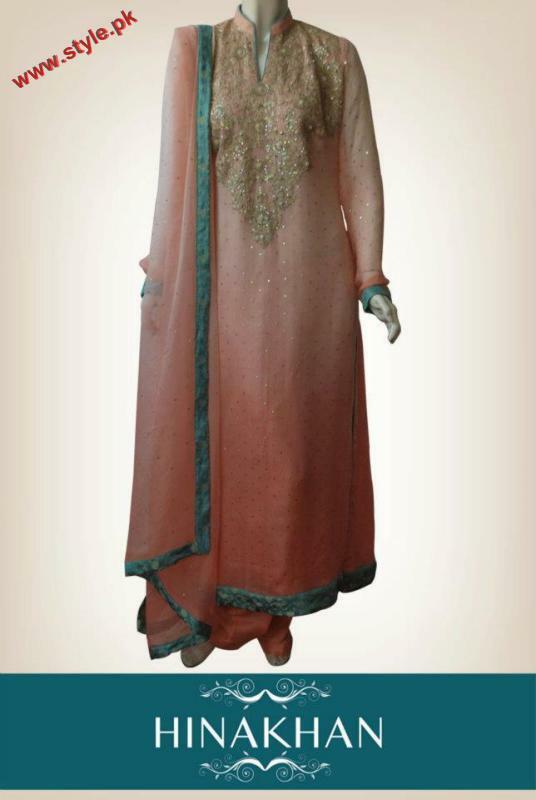 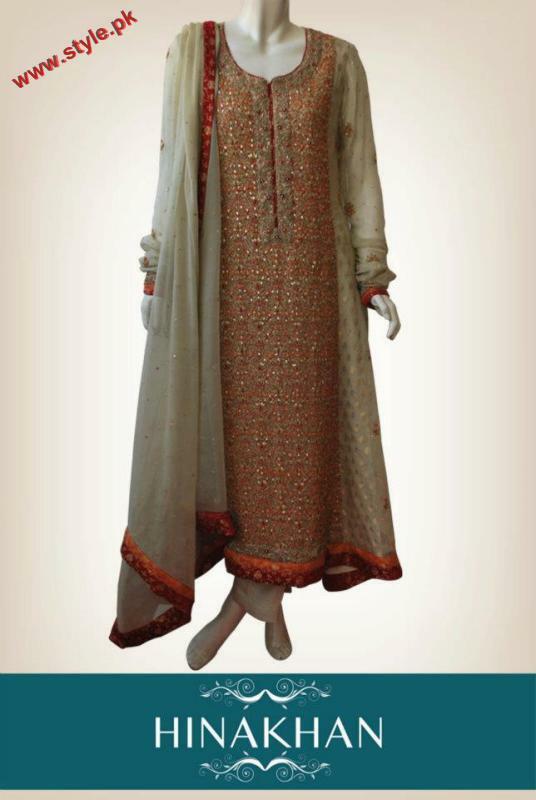 Embroidered Colection by Hina Khan 2012.